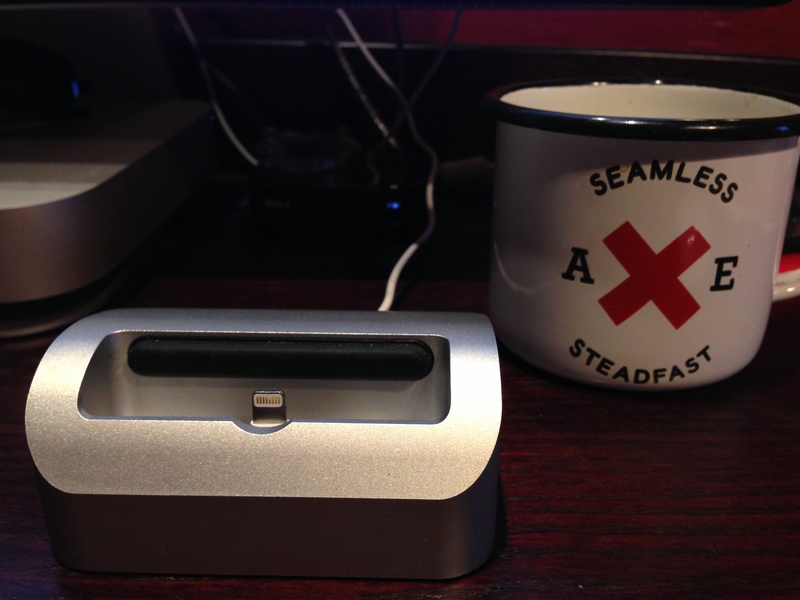 As the owner of a now-useless-to-me Elevation Dock for iPhone with 30-pin dock connector, I was immediately interested when my buddy Oliver Nelson told me that he had modified his model to work with the iPhone 5’s Lightning connector. The results are pretty clean overall, but the phone does sit up higher on the connector than I’d wish for in a perfect world. 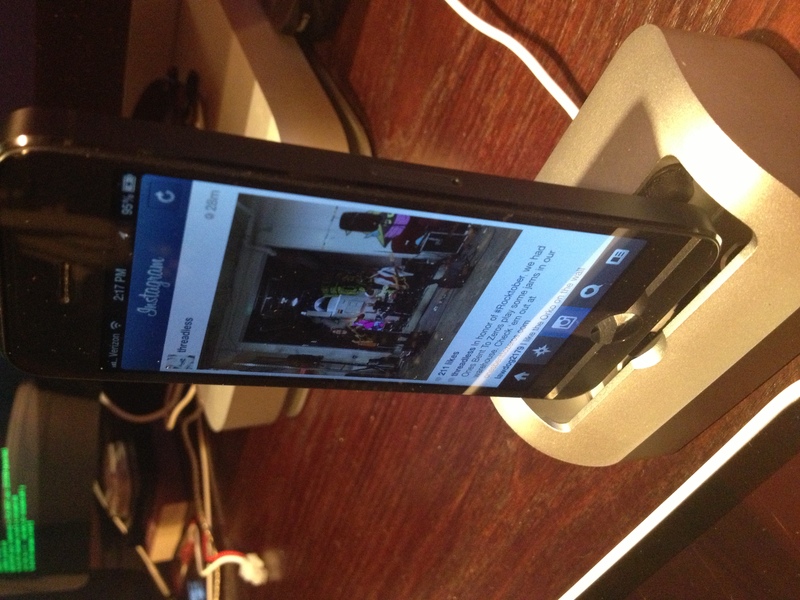 Still, it is solid, and the rubber bumper on the back of the dock prevents it from rocking much at all. I essentially took apart the dock insert (which is just screwed in) and I filed down the outer sleeve enough for the lightning cable to slide in tightly. “Then I filed down the edges of the lightning connector just a bit so that it required less force to insert and remove the cable. Then I super glued the lightning adapter into the sleeve raised approx 2mm above the top of the sleeve (enough room to make a tight fit for turn the cable out the back of the dock). Then the screw in retainer needed a touch of filing to clear the bottom edge of the lightning cable. I then screwed down the retainer and screwed the back onto the dock and let it dry a bit. Voila! If you’d rather have something completely bespoke, and you have access to a 3D printer, you can check ou this option from Mike Hellers. He provides a template that you can download and print out for yourself. ElevationLab says that it will be providing a bolt-in adapter for current owners that will support the Lightning connector, but there is no word on when it will arrive. So if you’ve got an Elevation Dock and you want to use it with your iPhone 5, try one of the options above—at your own risk of course. Be right back, off to mod my dock.